Do you feel like everyone is eyeing you up? 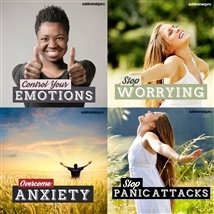 Want a way to switch off your awareness from the inside out? When you feel self-conscious, it makes you inhibited. You're scared to be yourself because you think other people are watching, judging you. It becomes impossible to let your hair down and relax in case you do or say the wrong thing. 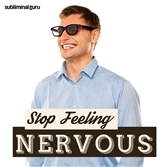 With the Stop Feeling Self Conscious subliminal session, you'll wipe away those awkward and uneasy feelings for good! 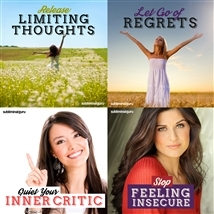 As you listen, thousands of powerful positive affirmations will change your thinking, helping you feel at ease in company. You'll start to become more relaxed around other people, knowing that they're happy to accept you just the way you are. You'll feel better about yourself than you have in a long time, finding the space to simply be. Be completely sure of yourself! Download the Stop Feeling Self Conscious subliminal audio now to enjoy an assured and unashamed future. I am comfortable with myself. I feel confident and secure. I am at ease in social situations. I am comfortable about the way I look. I am comfortable in my own body. I am a strong and capable human being. Other people admire my good points. I am relaxed in group situations. I can accept other people's attention. I know I have a lot to offer. I am as worthy as anyone else.